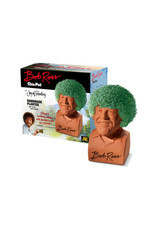 Grow the Bob Ross Chia Pet and "know without question that we don’t make mistakes here. We just have happy accidents.” Easy to Do … Fun to Grow! Full coat in About 1 – 2 weeks. Reuse your Chia indefinitely! Simply replant with Chia Seed Packets (extra seeds included) or similar herb seeds, such as basil, alfalfa, marjoram or thyme. Remember Bob Ross and his show, The Joy of Painting? 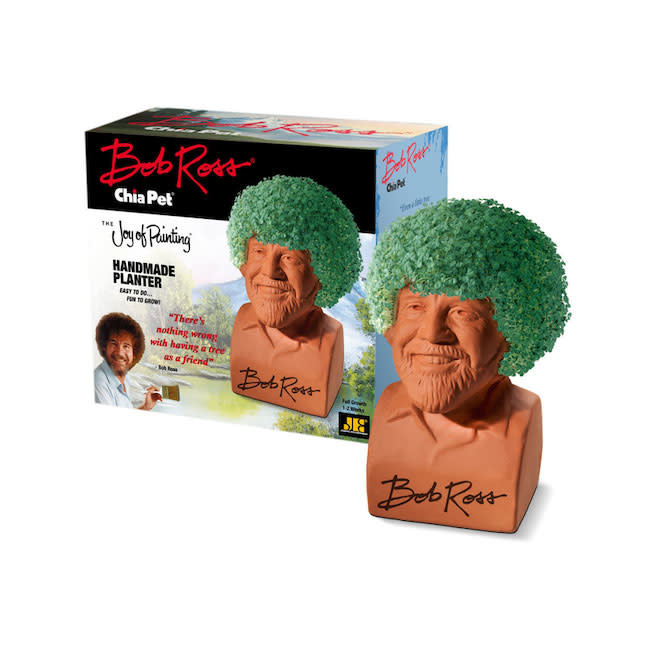 Now you can enjoy the gentle artist with the soft, hypnotic voice, as you grow your very own Bob Ross Chia Pet. Contains: handmade pottery planter, Chia seed packet for 3 plantings, convenient plastic drip tray. 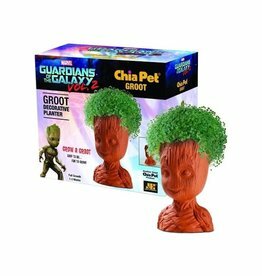 Grow Groot Chia Pet and Save the Galaxy! Easy to Do … Fun to Grow! 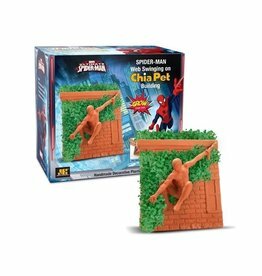 Grow Spiderman's Chia Pet wall for him to swing on and save New York City! Easy to Do … Fun to Grow! Now you can have Spongebob Squarepants in your very own room with this Chia Pet! Easy to Do … Fun to Grow!